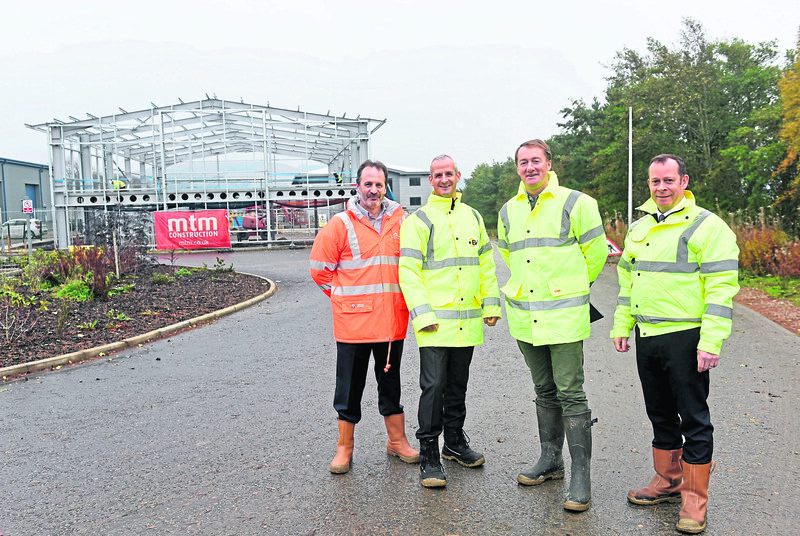 A cluster of oil and gas industry firms is taking root at a growing business park in Blackburn, Aberdeen, as the offshore sector continues its recovery. FG Burnett says its Westpark Commercial Offices and Business Park development is proving attractive to companies looking to take advantage of its good transport links to different parts of Aberdeen and beyond. The firm is ready to go ahead with another of its “design and build” office units at the park as soon as it had found a tenant. Unit 2b – comprising 8,709sq ft of office and workshop space – will be built next to a facility taking shape for energy services firm EV, which is moving its Bridge of Don and Banchory operations into 2a next year. FG Burnett also has longer-term plans for two more units, 3a and 3b, each of about 6,000sq ft, which are earmarked as office accommodation but could be suitable for other uses. It is thought these may appeal to retail businesses looking to piggy-back on the success of Starbucks, which has a thriving drive-thru on the site. Nisbet said Westpark was “bucking the trend” for custom-built offices in the north-east, where projects of this type have been few and far between in recent years. Energy service firms Archer and ALS Oil & Gas, a subsidiary of ALS Global, have made Westpark their north-east home. EV aims to join them in the second quarter of 2018, doubling its current workshop and office capacity in the north-east by moving to Blackburn. At least 18 people will be moving into unit 2a, though EV expects the workforce to increase in line with future business growth. EV sales and marketing director Tobben Tymons said: “EV’s new facility in Blackburn marks a significant milestone as part of a strategic growth plan in which we will be investing nearly £20 million in new tools and research and development over the next five years.